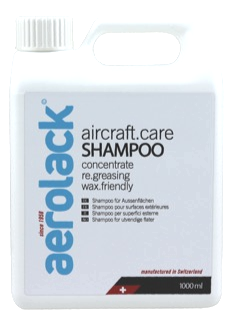 Aerolack Shampoo is a highly economical concentrate to be mixed with water. It is designed for frequent use but is still tough on dirt but gentle on the underlying surface and the environment. Aerolack Shampoo is ideal for use on surfaces that have been treated with Aerolack all in One preserving the sealants and surface treatment. Plastics and rubber seals are not affected by the Shampoo.